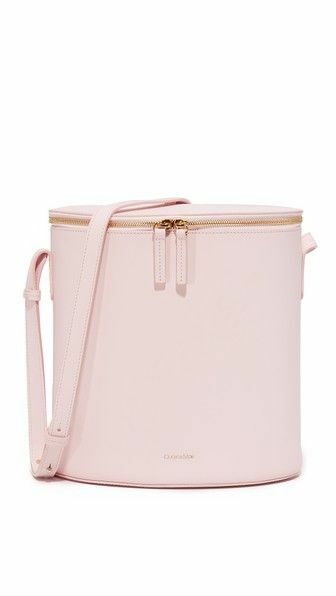 Over the last few years, Mansur Gavriel’s line of signature bucket bags has reached cult fashion status, with imminent sellouts season after season. But there’s a new brand in town looking to take over the bucket bag game, and we have to admit the designs are gorgeous. Meet Cuero & Mor, the Los Angeles–based handbag line that launched in 2014 and, according to Refinery29, is selling fast and about to be the next big It-girl accessory. Cuero & Mor currently offers four styles, though the bucket bag is the eye-catcher, with its sleek design, unique zip top, and rich colorways. Founders and designers Maria Eugenia Diaz and Pepe Romero handmade the leather bags when they first launched Cuero & Mor but have since moved manufacturing to Spain, where the quality of the bags still maintains an artisanal quality. At $675, they are a bit of an investment, but let’s be honest: We don’t foresee the bucket bag ever going out of style. Check out the latest fall colorway of the Cuero & More bucket bag below, available now. Will you be buying a new bucket bag this season? Tell us in the comments, and then shop more of the Cuero & Mor colorways.